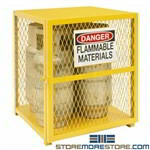 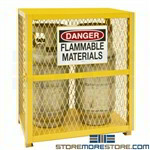 Store hazardous materials such as chemicals, paints, and corrosive or flammable substances in OSHA-approved safety cabinets. 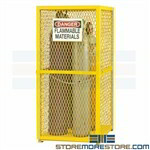 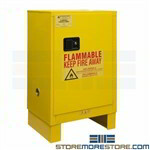 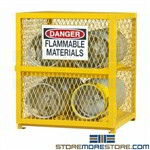 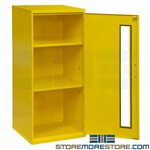 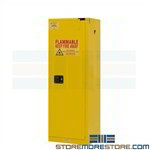 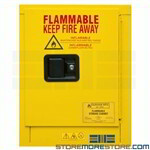 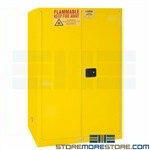 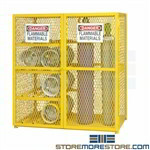 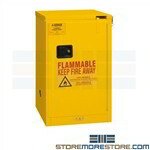 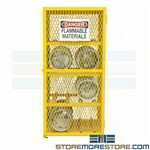 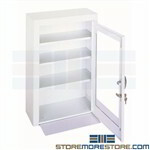 These double-wall durable cabinets are FM approved and meet all NFPA and OSHA safety standards. 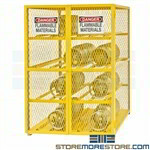 Durable safety cabinets are ventilated and secure for storing flammable gas cylinder tanks and propane bottles within NFPA and OSHA safety standards.